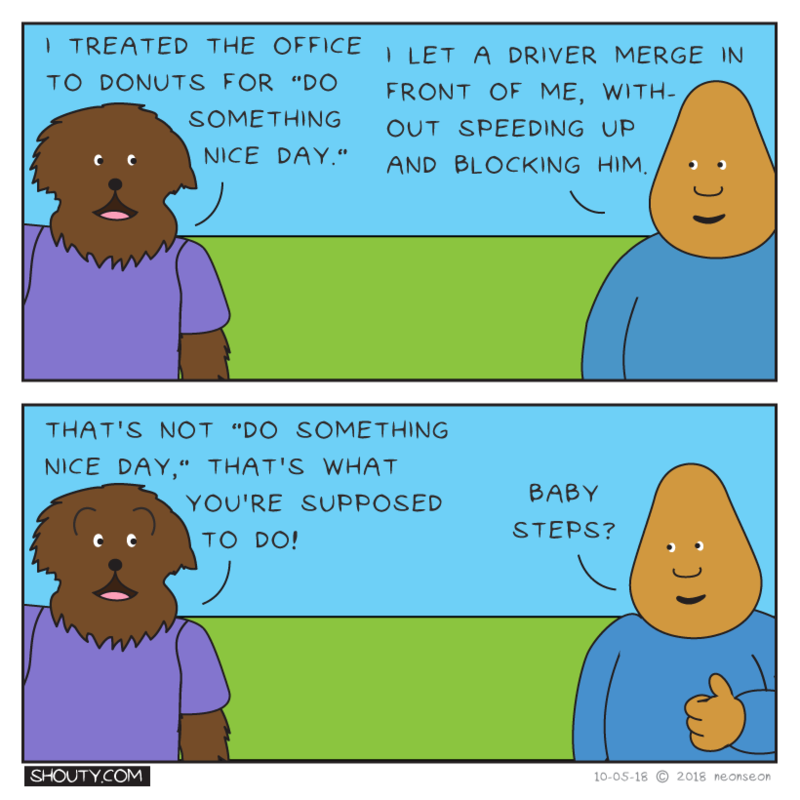 Leonard: I treated the office to donuts for “Do Something Nice Day.” Shouty: I let a driver merge in front of me, without speeding up and blocking him. Leonard: That’s not “Do Something Nice Day,” that’s what you’re supposed to do! Shouty, while giving a thumbs up: Baby steps?